This section will help you select herbal preparations and essential oils for minor burns, cuts, abrasions, insect stings, sprains and strains. Serious injuries, however, need urgent medical attention. Orthodox medicine is extremely good at treating such injuries. Use your common sense and get help when needed. 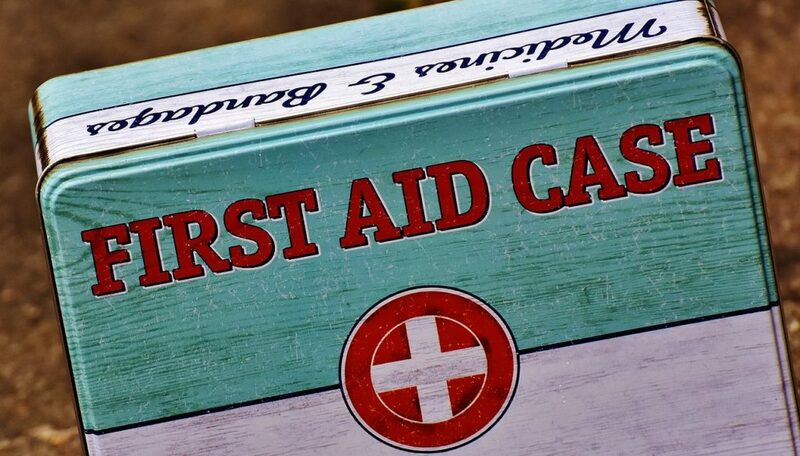 Side note: The remedies listed below are first aid remedies and will not necessarily be used in the followup treatment of the injury. 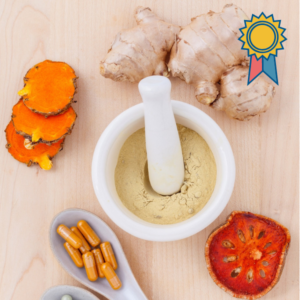 Visit the Herbal Therapeutic Index for remedies for followup treatment. Herbs: Diluted tincture of calendula, distilled witch-hazel. Yarrow poultice to help staunch minor bleeding. If the cut is quite deep, use diluted tincture of St. John’s wort. Bee stings: To neutralize the acidic venom, apply bicarbonate of soda (an alkali) made into a paste with a little water. Bicarbonate of soda also neutralises acidic ant venom. Wasp stings: wasp venom is alkaline, so an acidic remedy is necessary. Dab with cider vinegar or lemon juice (also for mosquito and horsefly bites). Most other insect bites and stings can be treated with neat essential oil, diluted herbal tincture or herbal ointment. Start with a cold or icy aromatic or herbal compress (witch-hazel is excellent), then apply an aromatic or herbal ointment. For sprains, after the ointment, apply gentle massage above towards the heart and below the injury (not directly on it) to drain off extra fluids. Side note: A sprain occurs at a joint such as a wrist or ankle when the ligaments and tissues around the joint is suddenly wrenched or torn. Symptoms are pain and tenderness around the joint, often followed by swellings and bruising. Rest the injured part and raise it to prevent accumulation of excess fluids (support with pillows). Begin with a cold or tepid essential oil compress. Once the swelling has subsided take a hot aromatic bath (up to 8 drops essential oil and 4 tablespoons sea salt), followed by a massage with an infused oil or an aromatherapy blend. Side note: Rest is essential. If you have strained the muscle of an arm or leg, raise the injured part above the level of your heart to prevent the accumulation of excess fluids (support with pillows). Take 2-3 cool (preferably cold) aromatic baths throughout the day, adding up to 8 tablespoons cider vinegar and 8 drops essential oil. Afterwards, pat dry and apply an appropriate aromatherapy massage oil, or infused oil of calendula, or calendula ointment. For very sore patches it is less painful to use than ointment; paint it on with a small, soft bristle brush. Aloe vera or bulbine juice will prevent sunburnt skin from peeling. It also takes out the heat and sting, stops blistering and converts minor sunburn into a tan. Put some into a cosmetic spray bottle with distilled water and mist the skin several times a day. 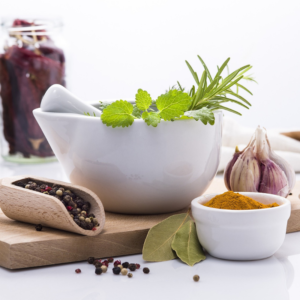 What are your favourite natural first aid remedies? Share them in a Reply below. Most of those I use on a regular basis but at the moment one of my prized herb is my Yarrow. I have so much of it now and it works so very well. Took me ages to find and grow out to a mass scale. I dry it and powder it for direct use on a wound or with other herbs and aloe gel or honey. Works very well. Did not know about the lemon with bee stings and wasp stings, that’s very cool info for me! Eucalyptus oil, lavender oil and tea tree oil are my favourite for insect bites. I like calendula for healing of the skin and arnica for trauma. I LOVE tea tree oil and use it frequently on minor cuts and scrapes. I have three children so this is probably the most commonly used essential oil in our household! Tea tree oil for cleaning wounds and house clean too. Lavender oil neat to calm down. Thym and eucalyptus for sinusitis problems and lungs. Lemon and orange oils for fresh house smell. Ylang-Ylang with Frankincense and more…. My favorites are St. John’s Wort, Lavender EO, Chamomile and Tea Tree EO. I keep tea tree oil on hand at all times. Then My other favorites are calendula oil, rosemary oil and lavender essential oil. Lavender oil and rescue remedy lozenges are our favorites. I am never without lavender and tea tree oil.